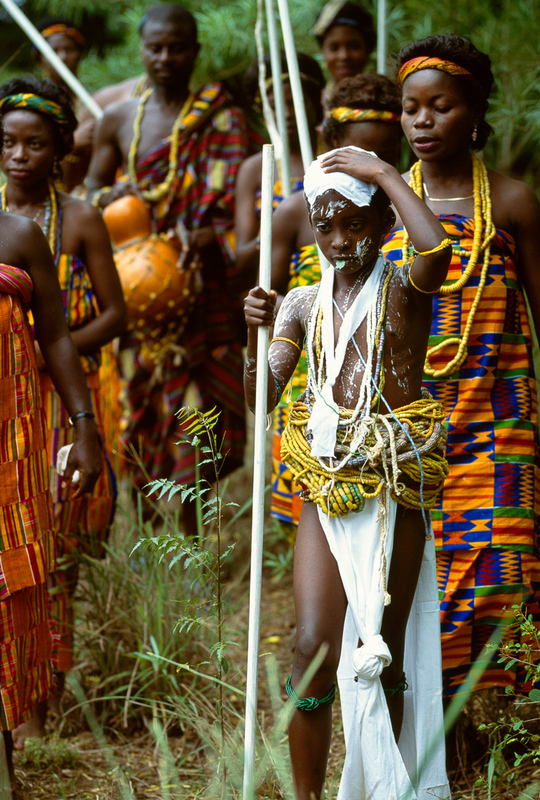 A young Krobo initiate enters the sacred forest wearing many strings of glass beads around her hips and white strips of calico criss-crossed over her chest. She has been splashed with chalky water to ward off any evil force. She also has a leaf placed in her mouth to turn her thoughts inward and to remind her of the obligation not to speak until the ceremony is over.